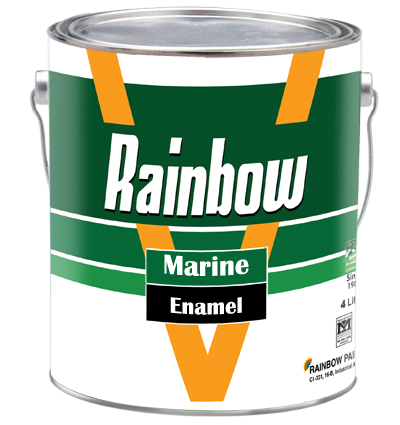 Rainbow Marine Enamel is good quality full gloss enamel for use on Marine Ships above load line. The paint is sustainable for interior and exterior surface on steel, wood and hardboard etc. Composition: Based on high quality modified alkyd and light fast pigments.